Justice and Advocacy Fellows – A resurrection moment – Ye watchers and ye holy ones . . . The Acts 8 Moment has challenged us to look for signs of Resurrection at General Convention. I saw one today – over lunch in the Exhibit Hall. 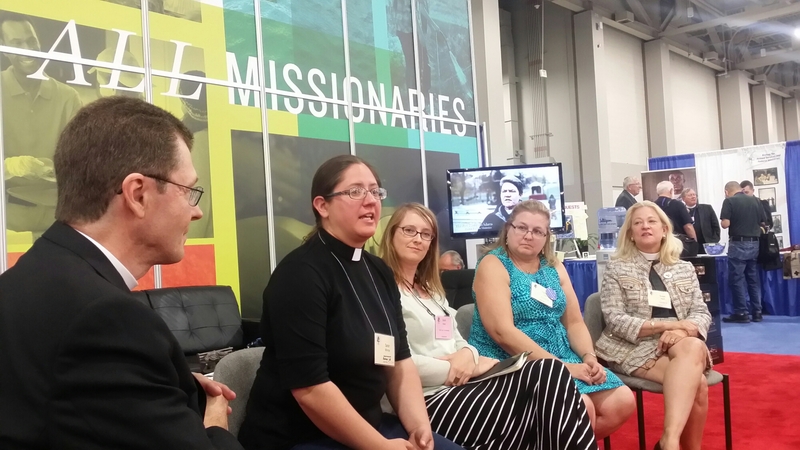 The Office of Mission hosted a conversation with the recipients of the Justice and Advocacy Fellowships – grants for new initiatives that alleviate poverty and promote environmental stewardship. The program and recipients are described here. I encourage you to hear these stories – amazing good news. Four effective, passionate leaders described their ministries. Rev. Susan Heath works with ecumenical partners to build relationships between congregations and public schools. Cynthia Coe developed environmental education materials for churches, including a VBS curriculum. (Check her work out at spiritualearthed.org). Sarah Nolan organized the Diocese of Los Angeles food security initiatives and is building a network for food and farm ministries (here). Rev. Sarah Morris told exciting stories about community organizing and leadership development among poor and homeless people in Aberdeen, Washington. Lots to celebrate here – the gifts and commitment of these leaders, the Fellows program that encourages these sorts of experiments, the fact that every single ministry discussed was really a multiplying network of ministry, the emphasis on caring for God’s earth while we are caring for God’s people, the ways these ministries do what we say we want to do – Go into all the world with the good news. 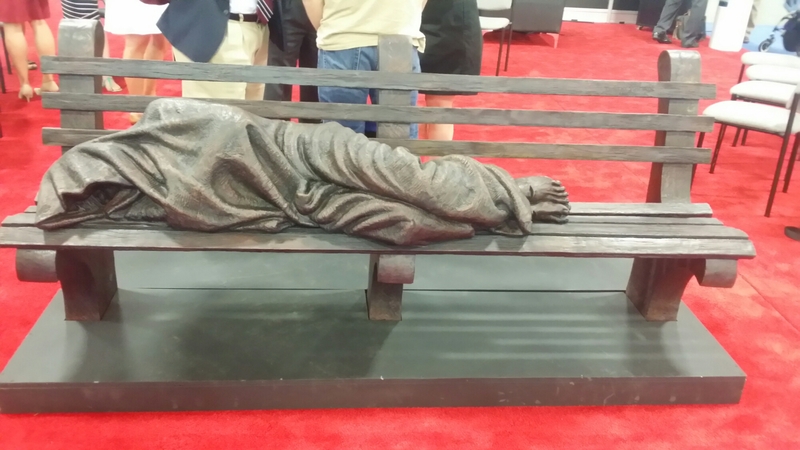 In addition to receiving inspiration and challenge, at the end of the presentation everyone present received a smaller version of the Homeless Jesus sculpture that is visiting General Convention to take home. Mine is coming to my church, to remind us to meet Christ in the world around us as these Fellows lead us. I meant Cynthia! We have another colleague named Linda and they have similarities because they both garden. Grace – I look forward to your posts and soak them all in. I am friends with Leslie Coe and we have done the VBS you are speaking of. If you see her again, please hug her for me. Do you feel like a kid in a candy shop wanting to see it all? I feel like that is how I would be. Much love.